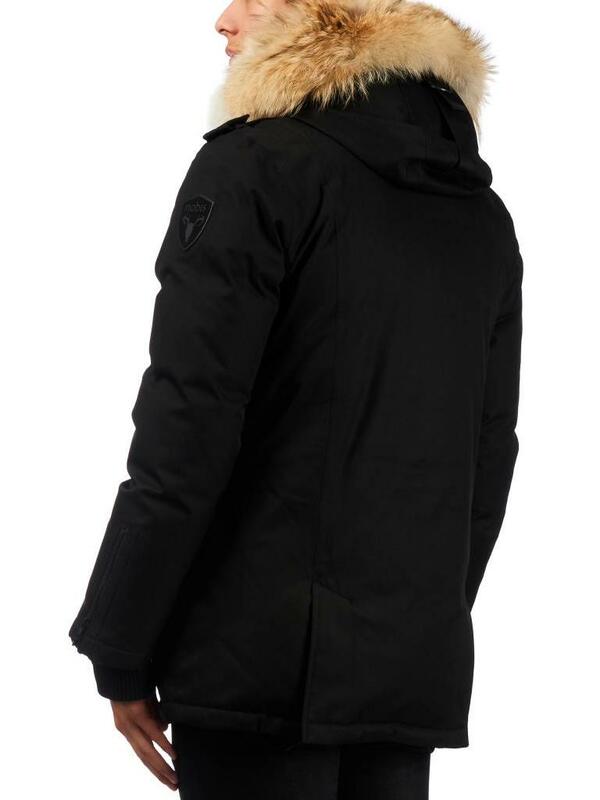 This jacket is from the Canadian brand Nobis. 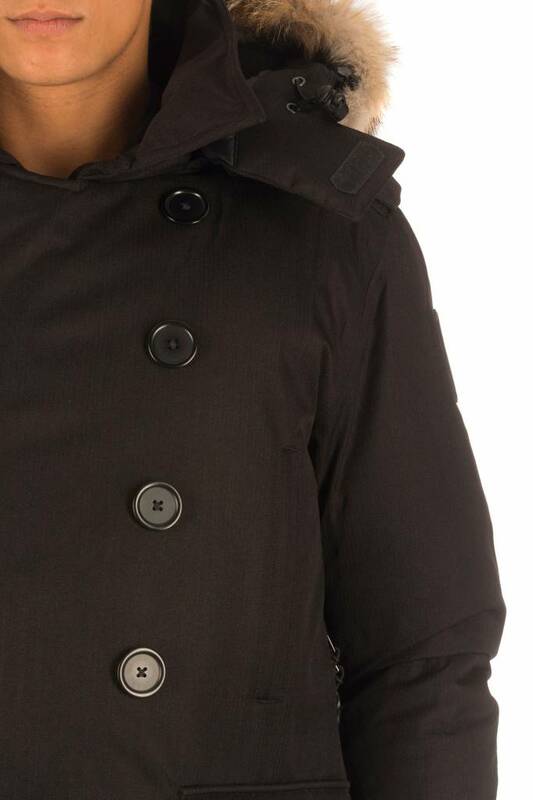 The jacket is incredibly well finished and is also quite technical. 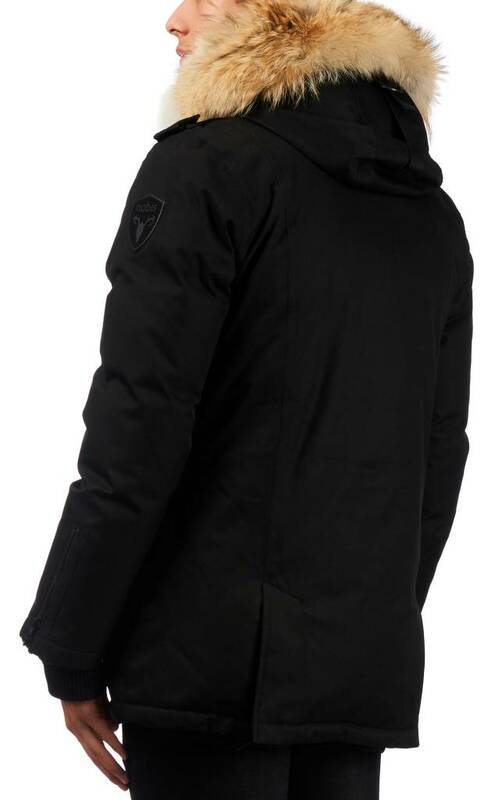 This jacket is fully windproof, breathable and waterproof (up to 10,000mm). 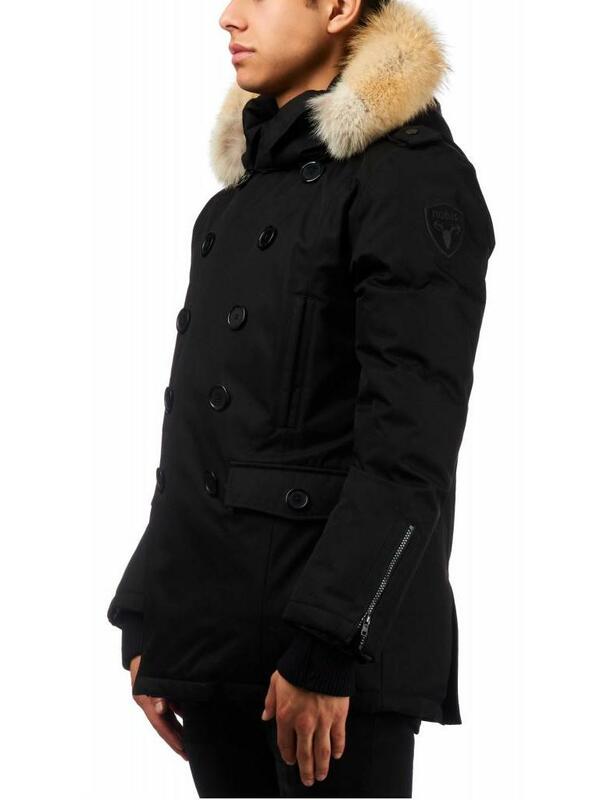 Technical details of the jacket are that they have an original Sympatex membrane, lined with 100% pure "Canadian White Duck Down", DWR coated and on all seams, the jacket is taped for full waterproofing. 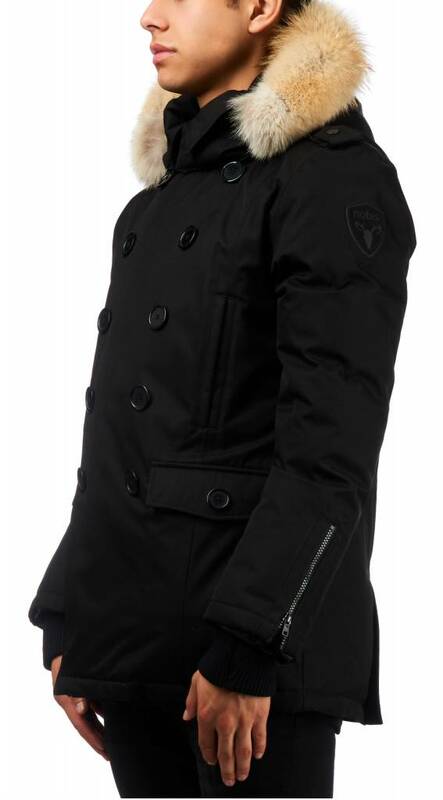 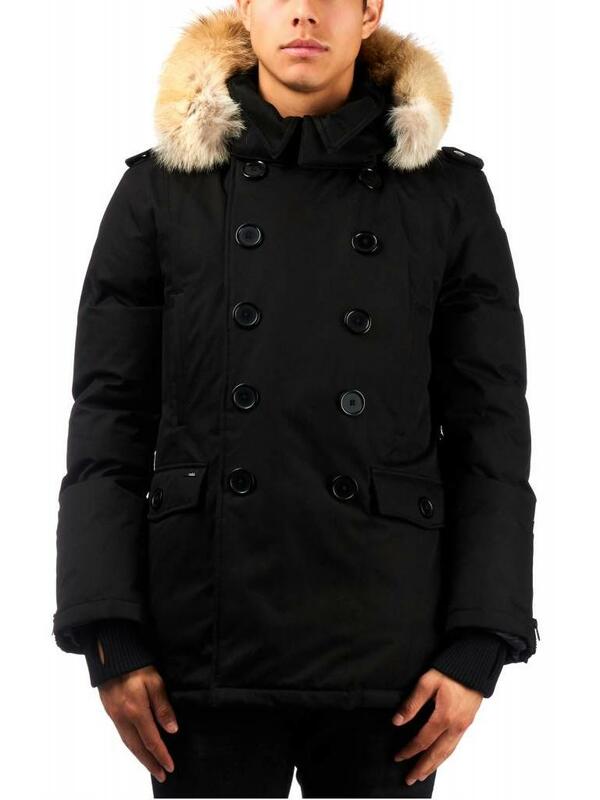 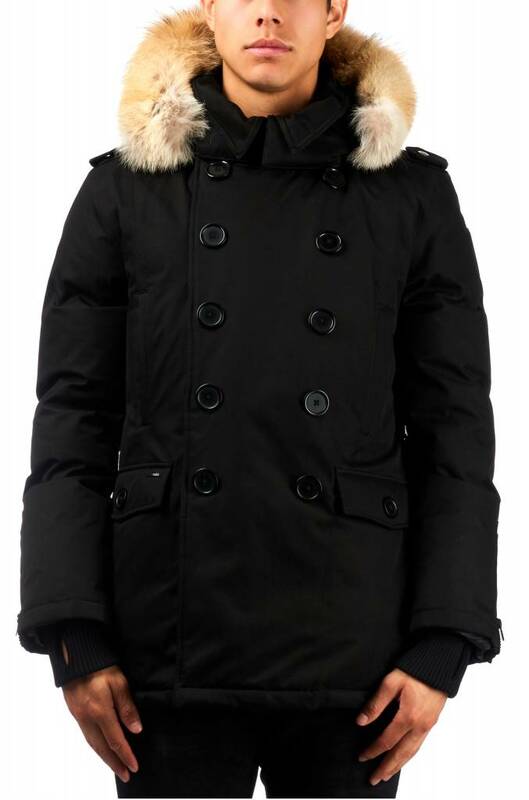 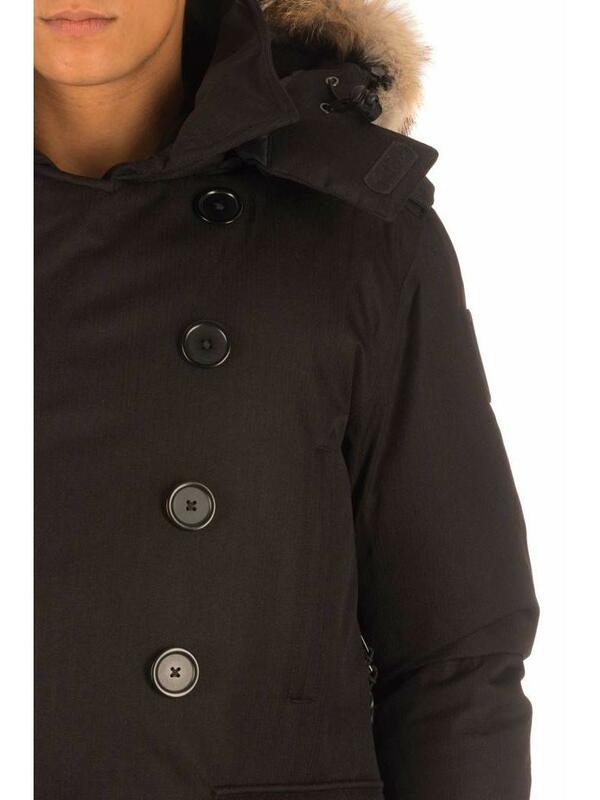 The jacket has magnetic closures on the zipper and fur collar is detachable.